If you spend any time in the Eternal City you’ll quickly learn that Romans take their food very seriously. So if you want to get a full-on local experience, you’re going to have to learn to cook like a Roman! And what better way to learn the ropes than by joining forces with an expert local chef who will guide you through whipping up some of the classics of Roman cuisine? After starting your evening in the time-honoured Italian way with a relaxing Spritz for aperitivo, roll up your sleeves, don your apron and get ready to learn how to make bruschetta, fresh homemade pasta and gnocchi with traditional Roman sauces from scratch, and the queen of all deserts: tiramisù. To sweeten the deal, after you hang up your chef’s hat you’ll get to enjoy the fruits of your labour with a 3 course meal on a private rooftop terrace, accompanied by liberal pours of high-quality Italian wine. 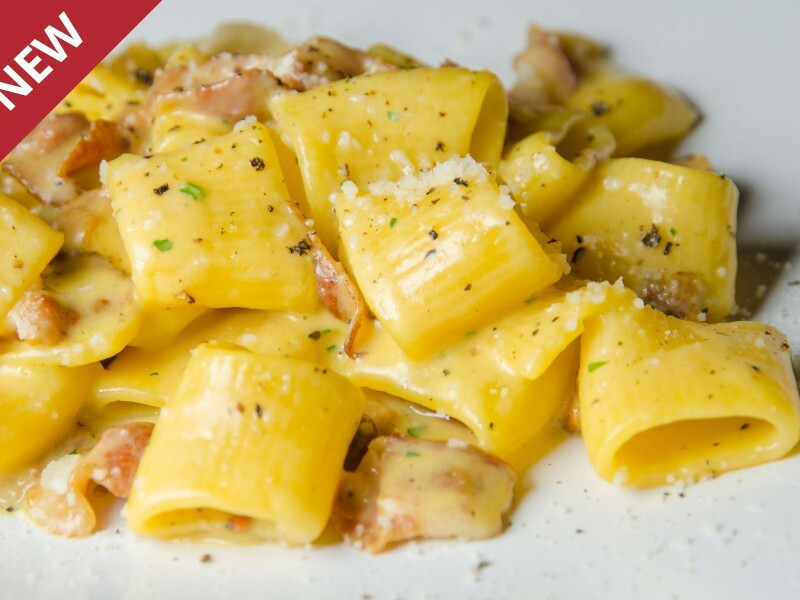 Get the inside track on the best that Roman cuisine has to offer in a fun hands-on experience – and get ready to impress your friends back home with your new-found Italian skills in the kitchen. Buon appetito! Please note that we can accommodate groups of 3 to 8 people on this special Roman cooking experience. To book, get in touch with Through Eternity today! Having a 3-course dinner on the rooftop of a private location in Rome is quite an experience. Cooking with a chef and learning to make all the recipes on your menu yourself makes the experience truly unique. Welcome to our Roman Cooking Dinner. Make yourself comfortable and enjoy our homemade Spritz. You will be cooking the dinner menu with our chef from scratch: bruschetta, fresh homemade pasta or gnocchi with a Roman sauce, and the Queen of all desserts, Tiramisù. Once all is ready, sit and enjoy the fruits of your hard work along with some great local wine. It is perfect for kids, fun for adults and enriching for all! Have fun, drink, take pictures and enjoy this unique cooking experience in our breathtaking location.